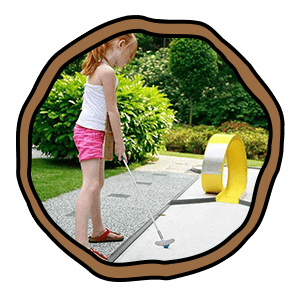 Minigolf Amstelpark has existed since 1972, almost 50 years the Amsterdammer can go for a game of mini golf on one of the beautiful courses. The courses have undergone a true metamorphosis over the years and are maintained very well. At Minigolf Amstelpark you can also go for a snack and a drink. For example, the pancakes are just as delicious as those of a Dutch Grandma!